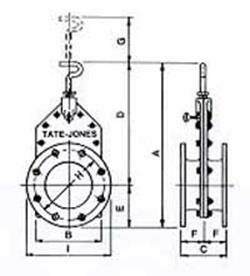 Flanged Blast Gate Valves – Tate-Jones Inc.
A rugged, cast iron body houses the precision-machined, self-cleaning stainless steel slide. The slide is adjusted easily to any position by a choice of operating mechanisms. The Tate-Jones Blast Gates are especially suited for low pressure appications where 100% shut-off is not required. The 3″ to 12″ Blast Gate Valves have a raised face, and the 14″ and 16″ valves have a flat face and match the American Standard 125 flange pattern. 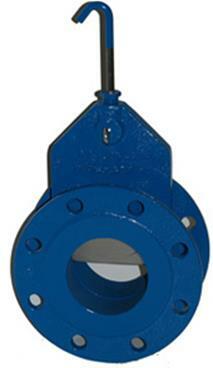 RPM flange valves are also available in 4″, 5″, and 6″ sizes.